Looking for a TI-83 plus cheap? I can’t recommend it. You will be SO MUCH HAPPIER with a TI-84 Plus by clicking this link to Ebay. OK, I’ve had enough. It’s time for a rant. I’ve been watching the top 20 graphing calculator rankings on Amazon for a while now. What’s that? You’ve never spent time following the “power rankings?” Let me tell you. You’ve been missing out. It’s not the story you might think you’ve been missing out on: The TI-84 Plus has had a stranglehold on the top spot for years as the various iterations of the TI-Nspire have slowly climbed the ladder trying to knock it off. That is a good story, but it’s not the one I want to talk about in this review. No, what you’ve missed out on is the calculator that has stubbornly held onto a top 3 spot (usually at #2) for years and years. Nope, it’s not a TI-Nspire or TI-84 Plus model at all. It’s not made by Casio or HP either. It’s the TI-83 Plus. Yes, 14 years later, the finest technology that 1999 had to offer us is still apparently one of the best sellers on the world’s biggest retail site. People, just because something was a good purchase in 1999 doesn’t make it a good buy today. 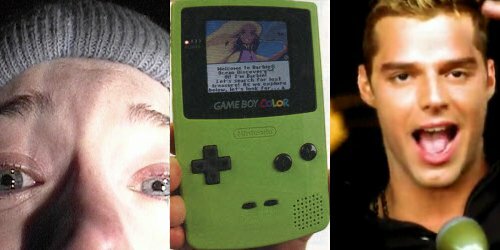 Ricky Martin, The Blair Witch Project, the Game Boy Color were all huge sellers in 1999, but you won’t find any of them on Amazon top 10 lists today. Very few things that were best sellers in 1999 still are. The TI-83 Plus is an exception. I’m going to assume that people are buying the TI-83 Plus simply don’t realize the shortcomings that it has compared to other Texas Instruments graphing calculators. I’ve actually heard people ask, “What’s the difference between a TI-83 Plus and a TI-84 Plus? Aren’t they the same?” For years, the answer was, “Almost nothing.” Until the spring of 2010, the only noticeable difference was the increased memory for apps on the TI-84 Plus and a USB port. These weren’t deal-breakers for “light” users, so many opted for the cheaper TI-83 Plus. Then, OS 2.53 was released for the TI-84 Plus. It offered the ability to use “mathprint” formatting. Finally, users could enter exponents that looked like exponents (no carrots), fractions that looked like fractions (no division symbol necessary), and they had access to numerous advanced templates (summations, integrals, non-base 10 logs), among other upgrades. With the upgrade, math problems appear the same on the calculator screen as they do in the textbook. Texas Instruments did not offer the same upgrade for the TI-83 Plus. All of a sudden, the TI-83 Plus looked less like the TI-84 Plus’s slimmer twin and more like the black sheep of the family. TI-84 Plus with mathprint on the left and TI-83 Plus without mathprint on the right. I cannot begin to tell you how often these differences come up. It’s an issue on virtually every calculation I do with my students. I literally groan when I see a student walk through the door with a TI-83 Plus. Unfortunately, with the lack of mathprint formatting (now readily available on many graphing calculators, not just the TI-84 Plus), students spend more time learning the calculator syntax and less time learning math. It makes things so much harder for those kids, and it inevitably seems (I have no idea why) that the kids who have the hardest time learning how to understand calculator syntax are the ones who end up with an outdated calculator like the TI-83 Plus. For some kids, it is a real disadvantage in class. Maybe just as frustrating, the TI-84 Plus update gave users the ability to scroll up to edit previous calculation and “pull down” previous answers to use them on later calculations. The TI-83 Plus still can’t do this and it’s very aggravating because everything in your history of working with computers and calculators tells you that you ought to be able to scroll up to get at those previous calculations. Even a $15 scientific calculator like the TI-30 XIIS Multiview has this ability. The TI-83 Plus was a great graphing calculator when it first came out, but the fact that Texas Instruments hasn’t upgraded it to mathprint format the way it did for the TI-84 Plus is a major bummer. I assume it has something to do with the memory limitations of the TI-83 Plus. Whatever the reason, with the TI-84 Plus’s recent upgrades, it is far better than the TI-83 Plus. My advice is to steer far, far clear of the TI-83 Plus. Its best days are behind it, and it has no business being an Amazon best seller. Why is it still selling so well? It’s probably a combination of great name recognition from its glory days when it was actually the best calculator in the business and the fact that it’s a few dollars cheaper than the TI-84 Plus. If cost is an issue and you need to save a few dollars, get yourself a used TI-84 Plus on eBay. Texas Instruments built the TI-84 Plus like a tank, so it should last a long time, even though it’s used. Then you can upgrade the operating system, and you’ll have the mathprint formatting. If cost isn’t an issue and you love the TI-8X line of calculators, get the new color TI-84 Plus CE (review). It’s easily the best TI-84 model available in the year 2016. Looking for a TI-83 plus cheap? Don’t do it! A much better choice is to buy a TI-84 Plus by clicking this link to Ebay.